Last night I went to my first major social outing since our loss. It was a house party to celebrate a friend’s 30th birthday. The good news is I didn’t get absolutely intoxicated. I had a few beers (meaning the most I’ve had since the beginning of July), but in the end, I came home almost sober. The bad news is I had to deal with a group of fertile women who had no clue that they were being insensitive. It was one of those occasions where the crowd just doesn’t mix well. Her friends vs. his friends = awkward. Fortunately for me, I know both sides. To start, I sat in between both groups as to participate in whichever conversation I enjoyed more at the time. Her friends don’t have children. Most are married, but one woman is single. His friends all have children. My husband and I and the hosts themselves were the only ones from that group without kids. Anyway, the wives of his friends started discussing their birth stories. Yes, you heard me right. They were discussing their birth stories right beside the woman who experienced her first and only pregnancy loss just over 2 weeks ago. I tried to ignore it, but it was just too much. They talked about when they realized they need to go to the hospital, how they made it up to labour and delivery, etc. I got up and went outside for a bit. After that, my night was tainted. I went and sat on the other side of her friends as to avoid his friends – and their incessant baby chatter – as much as possible. Throughout the night, a few of his friends wives asked how I was doing. I just said, “I’m ok“. One of the wives even asked when I was returning to work. See, it’s not as if they don’t know. While we were cleaning up at the end of the night, I told the wife of the birthday boy that I couldn’t believe they would talk about that in front of me. I understand that they don’t get it, but still. There is a thing called common sense. She proceeded to go on and say that she totally supports how we are pursing treatment to have a child, but that I need to get over some things. She doesn’t get it. I am not JUST doing fertility treatments. I am not JUST recovering from surgery. I am mourning the loss of our baby girl. She totally does not understand how profound a loss of a child is. She told me that I will have a baby one day and I need to not let what people say get to me. I responded by telling her that there are NO guarantees that we will have our OWN child and that maybe those people need to become more aware as to not be so insensitive themselves. She gave me a hug and apologized for her own insensitivity, but kept reminding me to stop being so sensitive. I fumbled for words knowing that whatever I said would probably not make a difference at this point. I feel like I should have spoken up. I should have asked them to change the topic. I should have pointed out their insensitivity. Instead, I did what so many in my situation have done before me. I held my tongue. I left the room. I let myself feel ostracised. I didn’t enjoy the party. Please dear God, give me strength and a voice to endure the many challenges I expect to face as we move forward on this journey. Please show me the way to create awareness to make this world an easier place for those of us facing infertility and miscarriage. This post is directed at my Canadian fertility sisters. If you know anyone in Canada, please share! A few months back, I wrote about an upcoming Mind-Body Fertility Conference in Toronto. If you are in Toronto-area and have been hesitant to register, I have some GREAT NEWS! Use the discount code “MindBody” and receive 50% off your registration. For $50, you get to hear 14 fertility experts including a keynote from Julia Indichova, author and founder of fertileheart.com. If you go, please send me an email and tell me what you learned! The Infertility Association of Canada (IAAC) has launched a 9-question survey directed at infertility patients to gauge your awareness of the organization and your needs. I am quite passionate about increasing awareness of infertility in Canada. IAAC has a long way to go to be comparable to Resolve in the US, but with your support, we can get there. IAAC is always looking for new voices, faces and hands. I have recently become a volunteer and a friend of IAAC. If you are interested in helping out, check out their website for more information or send me an email. 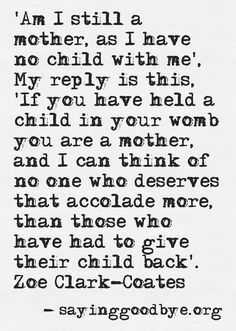 I haven’t written since Pregnancy and Infant Loss Awareness Day. I just had two good days. I didn’t even cry once. Then, I realized it’s just because I’ve been distracting myself, trying not to think about what happened. Today, it’s been 2 weeks since my surgery, 2 weeks since we found out our pregnancy was ectopic, 2 weeks since we lost our baby girl. Today, I also had my first session with a grief counsellor. I woke up dreading it. I knew it would all come flooding back. I cried all morning before I went to the session. And then, I was a puffy-eyed, red-nosed, snot-filled mess when I left her office. She was kind and listened well. 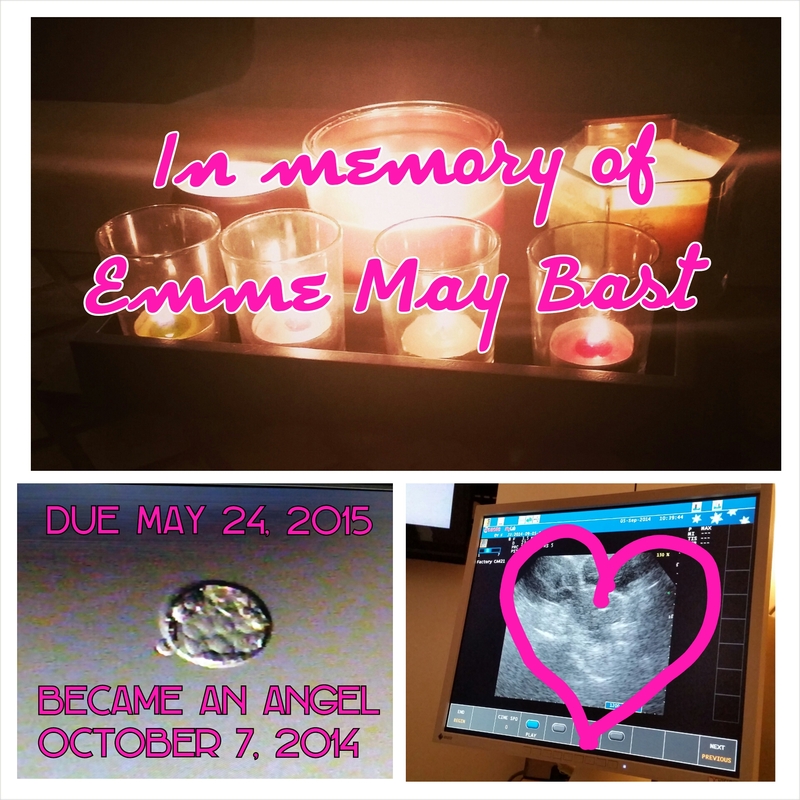 She sits on the Perinatal Loss Board at our hospital and offered to take my feedback to them. She also told me she doesn’t think I’m ready emotionally to go back to work. She recommended I take the full 4 weeks that the doctor allotted to me, and even consider taking more. We talked a lot about my job. I don’t talk about it much on here, but it all changed since we got home from our IVF. My wonderfully supportive boss quit. The project I am on got postponed. I was reassigned to a new role. I don’t even know what my full role and responsibilities are yet as this transition happened 2 weeks before our loss. Although it’s a promotion, I’m dreading the thought of more responsibility and stress. I have a new boss. He knew nothing about our situation before my surgery. Since then, I’ve sent him two emails and had one phone call. I told him I would be off work for 2 weeks. Then, I extended it to 3. What will he think if I ask for more? It makes me angry that grief is unrecognised or seen as weakness – or at least that’s how it feels. Like I’ve said before, recovering from surgery is easy. It’s the broken heart that needs time to heal. The grief counsellor let me borrow books from their library. Tonight, I read Still: A collection of honest artwork and writings from the heart of a grieving mother. It was written by Stephanie Page Cole, founder of the Sweet Pea Project. I guess that’s all I can hope for: continued strength and tolerance. My to-do’s after counselling are to consider how I would like to approach dealing with my grief and decide how much time I need off work. I have some counselling coverage through my health plan. I would consider going back to this woman. She has also suggested the local Miscarriage Support Group, but it only meets 1x a month. I would also like to work with my fertility coach again. My coach and I have a call tomorrow to discuss options. As for the time off, I don’t even know what to do. Some friends say go back and relish in the distraction of work. I am not the kind of person to shove my feelings down and ignore them though. I’m scared of not being strong enough to lead a team of people right now. I’m scared of emotionally breaking down when the first person asks, “How are you?“. I’m currently in the process of getting my short term disability claim processed. I have yet to hear from a case manager, but another friend recommended I should see what they say (meaning how much time off they will pay me for based on my diagnosis) before I make my decision and re-inform my boss. If doing what is right for you is a sign of strength, why do I feel so vulnerable right now? Am I just delaying the inevitable by taking more time off? Or do I rightfully deserve a break after everything we have been through since August? How much time would you take off it was available to you? I am 1 in 6 who suffers from infertility. I am now 1 in 4 who suffers from pregnancy loss. Each day my heart slowly becomes whole again, but I know there will always be a tiny hole that represents this missing piece of me: my angel baby. I carried her in my body for a 7 weeks, 1 day, but I will carry her memory with me forever. Tonight, I light my candles with love and light in honour of each and every baby that left us too soon, each and every parent who grieved in silence or out loud, each and every broken heart.